The ‘tyranny of relevance’ is a convenient and popular target for academic historians. Mention the ‘r’ word with a raised eyebrow during a conference coffee break, or condemn instrumentalist research policy at a committee meeting and you are likely to receive murmurs of sympathy. We have allowed an unstable and stormy climate in higher education to cloud our judgement, implicating notions of relevance, application and public engagement with a Dark Side of neoliberal politics in caricature. If history is to thrive as a discipline, we need to reclaim relevance for the whole field – and public history can lead the Alliance. It is tempting to see relevance only as a product of the increasing pressure from governments and funding bodies for scholars to prioritise and account for the value of their research to society. An unfortunate corollary of this view is the placing of ‘relevance’ and ‘rigour’ into a binary relationship. If ‘relevance’ is an external and a political requirement, imposed by policymakers to ensure academic research serves public needs then – or so the argument goes – it is surely incompatible with the interests of advancing human knowledge. Put another way, there are too many compromises involved when translating ‘pure’ scholarship into ‘applied’ insights (you cannot serve both Clio and client). One of the problems with this account is that relevance serves as a shorthand for a number of issues in higher education that are deeply entangled. We may object to the model of students as consumers, to the erosion of secure academic employment or to creating hierarchies of value among individuals, disciplines and universities. These are all valid concerns and they should indeed exercise us. 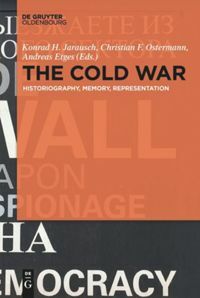 But in bundling up our grievances with the ‘system’ and the political culture that has shaped it, we can deny ourselves important opportunities to do what we do best as scholars – to analyse (including, importantly, in the etymological sense of breaking something complex down) in order to understand and respond. We also miss the messages from our own professional pasts, in which the ‘public purpose’ of scholarship was not imposed on us, but was imagined, owned and advanced from within academic communities. History has a distinguished but often neglected history in this regard. The creation of binaries – pure/applied, academic/public, rigour/relevance, for example – tends to detract from any sense of common purpose and shared endeavour across a discipline. These divisions are constructs that reflect the preoccupations, anxieties and pressures of our time – they are historical phenomena. But by treating these distinctions as if they are self-evident truths, we unconsciously exclude potential collaborations, projects and sources of intellectual energy and creativity. ‘Relevance’ is a good example of a term that has fallen prey to a binary divide. Far from being the concern only of the ‘public historian’, scholars of history are always making judgements about relevance. Our research questions don’t come out of thin air; they emerge from unresolved problems, from gaps, puzzles and unanswered questions. We articulate the value of our enquiries – and judge the value of other people’s projects – in terms of the purchase they have on present concerns, whether that be the present state of knowledge or present dilemmas in the wider world. Indeed, professionals of all kinds tend to ask the ‘so what?’ question. So what is important about what I’m doing, that makes it worth investing my time and effort here – and not elsewhere? Why does this work matter to me and to others? The significance of a piece of research is as much about its relevance – the extent to which it broadens, enhances or challenges current agendas in a field – as it is about some judgement of intrinsic intellectual merit. Relevance is ours to reclaim and reshape in constructive and creative ways. But we need to do so with a willingness to transgress – to breach disciplinary borders, to rethink where, how, why and for whom we work. Surely one potentially fruitful response to the adverse climate in which scholars in many countries find themselves is to look for common cause across disciplinary boundaries. And here, public scholarship can lead the way. History was not alone in giving rise to a ‘public’ form of scholarship from the 1970s. Anthropology, geography, sociology, archaeology, among others, also did, yet there has been little attention to this ‘public turn’. The public fields have their own literatures, in which the affinities, antagonisms and tensions with their ‘academic’ counterparts are explored. Yet the various public fields share many concerns, not least the foregrounding of the ‘so what?’ question and its associates: for whom and for what do we do what we do? Public scholarship offers us ways of thinking through the nature and purpose of intellectual endeavour in society in systematic and transdisciplinary ways, embracing matters of both theory and practice. The academic community in its widest sense can learn from how the public fields have engaged with important issues such as multiple accountabilities, the ethics of public practice, professional status and accreditation, the ‘quality control’ of outputs and, importantly, how to explain the relevance of academic enquiry to funders, partners and audiences. This leadership role for public scholarship is not necessarily a welcome one. Just as some ‘academic’ historians may currently see little reason to engage with the public purpose of their research, so, perhaps, might those identifying themselves as public historians find the prospect of a cross- and transdisciplinary exercise unappealing. Yet there is surely much more to be gained by exploring the possibilities of shared endeavour than can be achieved alone, particularly now. The sooner we jettison our binary thinking, the better. There should be, at least in our corner of the galaxy, no Dark Side – as historians, we work in many shades of grey that blend, merge and overlap to produce complex and provisional multi-tonal pictures. Perhaps we could turn that sensibility to our own professional worlds, to help us rebel, to reconfigure and reimagine our intellectual affiliations and aspirations – and Alliances? Pam Cox: The Future Uses of History, in: History Workshop Journal, 75 (2013), pp. 125-145. Laura King & Gary Rivett: Engaging People in Making History: Impact, Public Engagement and the World Beyond the Campus, in: History Workshop Journal, 80 (2015), pp. 218-233. Pedro Ramos Pinto & Bertrand Tithe: The impact of history? Histories at the beginning of the twenty-first century. Abingdon: Routledge, 2015. The ‘tyranny of relevance’ I take from Matthew Flinders: ‘The Tyranny of Relevance and the Art of Translation’ in Political Studies Review, vol. 11, no. 2 (2013), pp. 149-167. David Rothman has challenged this notion, in ‘Serving Clio and client: the Historian as Expert Witness’ in Bulletin of the History of Medicine, vol. 77, no. 1 (2003), pp. 25-44. See: Rebecca Conard: Benjamin Shambaugh and the intellectual foundations of public history. Iowa City: University of Iowa Press, 2002; John Tosh: Public history, civic engagement and the historical profession in Britain, in: History, 99 (2014), no. 335, pp. 191-212. On the notion of public scholarship, see: Ivan Karp: Public Scholarship as Vocation, in: Arts and Humanities in Higher Education, 11 (2012), no. 3, pp. 285-299. I explore public scholarship, and public history’s place within it, in my forthcoming book, History, policy and ‘public purpose’. Green, Alix: Reclaiming relevance from the Dark Side. In: Public History Weekly 4 (2016) 5, DOI: dx.doi.org/10.1515/phw-2016-5353. Die “Tyrannei der Relevanz“ ist ein bequemes und populäres Ärgernis für akademische HistorikerInnen. Erwähnen Sie das “R-Wort“ mit hochgezogener Augenbraue während der Kaffeepause bei einer Tagung oder verurteilen Sie instrumentalistische Forschungspolitik in einer Gremiumsitzung: Sie werden wahrscheinlich zustimmendes Gemurmel ernten. Wir haben zugelassen, dass ein instabiles und stürmisches Klima im Hochschulwesen unsere Urteilskraft trübt, und dabei die Vorstellungen über Relevanz, Anwendung und öffentlichem Engagement mit einer karikierten Dunklen Seite neoliberaler Politik in Verbindung gebracht. Wenn Geschichte als Disziplin florieren soll, dann müssen wir Relevanz für das gesamte wissenschaftliche Arbeitsgebiet zurückgewinnen – und Public History kann die Allianz anführen. Es ist verlockend, Relevanz als nur ein Produkt des zunehmenden Drucks von Regierungen und Fördereinrichtungen auf WissenschaftlerInnen zu sehen, den Wert ihrer Forschung für die Gesellschaft zu priorisieren und nachzuweisen. Eine bedauerliche Konsequenz dieser Sicht ist die Verbindung von ‘Relevanz’ und wissenschaftlicher ‘Strenge’ in einer binären Beziehung. Wenn ‘Relevanz’ eine externe und politische Notwendigkeit darstellt, die von politischen EntscheidungsträgerInnen auferlegt wird, um sicher zu sein, dass akademische Forschung öffentlichen Bedürfnissen dient, dann – so etwa lautet das Argument – ist sie mit dem Anspruch, menschliches Wissen voranzubringen, sicherlich unvereinbar. Anders gesagt: wenn ‘reine’ Wissenschaft in ‘angewandte’ Einsichten übersetzt wird, sind zu viele Kompromisse im Spiel (man kann nicht sowohl Klio als auch einem Klienten zu Diensten sein) . Eines der Probleme mit dieser Darstellung liegt darin, dass ‘Relevanz’ als ein Kürzel für mehrere Themen der Hochschulbildung dient, die miteinander verstrickt sind. Wir mögen skeptisch sein gegenüber dem Konzept von Studierenden als KonsumentInnen, gegenüber der Erosion von sicheren wissenschaftlichen Anstellungen oder gegenüber der Erzeugung von Wert-Hierarchien zwischen einzelnen Menschen, Disziplinen und Universitäten. Dies sind alles berechtigte Anliegen, die uns in der Tat beschäftigen sollten. Doch verbinden wir unsere Unzufriedenheiten mit dem ‘System’ mit der politischen Kultur, die sie erzeugt hat, versperren wir uns wichtige Gelegenheiten, das zu tun, was wir als WissenschaftlerInnen am besten können: nämlich zu analysieren (einschließlich der Fähigkeit, etwas Komplexes im etymologischen Sinne zu zerlegen), um zu verstehen und zu antworten. Wir verpassen auch die Botschaften unserer eigenen akademischen Vergangenheiten, in denen der ‘öffentliche Zweck’ der Wissenschaft nicht von außen auferlegt, sondern aus den akademischen Gemeinschaften heraus selbst erdacht wurde, der Gemeinschaft gehörte und von ihr weiterentwickelt wurde. In dieser Hinsicht weist das Fach Geschichte eine besondere, aber oft vernachlässigte Geschichte auf. Das Schaffung von binären Gegensätzen – wie rein/angewandt, akademisch/öffentlich, Strenge/Relevanz – bringt die Tendenz mit sich, das Gefühl für ein gemeinsames Ziel und für ein miteinander geteiltes Bestrebens innerhalb einer Disziplin zu beinträchtigen. Diese Einteilungen sind Konstrukte, welche die Sorgen, Ängste und Belastungen unserer Zeit widerspiegeln. Sie sind in dieser Hinsicht historische Phänomene. Doch behandeln wir diese Unterscheidungen als wären sie selbstverständliche Wahrheiten, schließen wir unbewusst mögliche Kollaborationen, Projekte und Quellen von intellektueller Energie und Kreativität aus. ‘Relevanz’ ist ein gutes Beispiel für einen Begriff, der ein Opfer eines binären Gegensatzes geworden ist. GeschichtswissenschaftlerInnen beurteilen andauernd Relevanz – das ist keineswegs nur eine Angelegenheit von Public Historians. Unsere Forschungsfragen sind nicht einfach aus der Luft gegriffen; sie entstehen aus ungelösten Problemen, aus Lücken, Rätseln und unbeantworteten Fragen. Wir benennen den Wert unserer Recherchen und urteilen über den Wert von Projekten Anderer, und zwar in Bezug auf den Zugewinn, den die Ergebnisse für gegenwärtige Anliegen bedeuten – mögen sie den jetzigen Stand des Wissens betreffen oder aktuelle Probleme ausserhalb der Wissenschaft. Gewiss, Fachleute aller Richtungen neigen dazu, die So what?-Frage zu stellen. Was ist nun die Bedeutung meines Tuns, dass es sich lohnt, meine Zeit und meine Kraft hierfür einzusetzen – und nicht woanders? Warum ist diese Arbeit für mich und andere wichtig? Die Bedeutung eines Forschungsvorhabens hat genau soviel mit seiner Relevanz zu tun – dem Maß, in dem es aktuelle Vorstellungen im Feld erweitert, verbessert oder streitig macht – so wie auch mit der Beurteilung des eigenen geistigen Verdienstes. Es ist an uns, Relevanz zurückzufordern und auf konstruktive und kreative Art und Weise neu zu formen. Doch wir müssen dies mit einer Bereitschaft zur Übertretung tun, mit der Bereitschaft, disziplinäre Grenzen zu durchbrechen, neu darüber nachzudenken, wo, warum, wie und für wen wir arbeiten. Eine mögliche fruchtbare Reaktion auf das widrige Klima, mit dem WissenschaftlerInnen in vielen Ländern konfrontiert sind, ist sicherlich, über Disziplingrenzen hinweg nach einem gemeinsamen Anliegen zu suchen. Und hierbei kann öffentlichkeitsorientierte Wissenschaft die Führung übernehmen. Geschichte war nicht das einzige Fach, das seit den 1970-er Jahren eine ‘öffentliche’ Art von Wissenschaft hervor brachte. 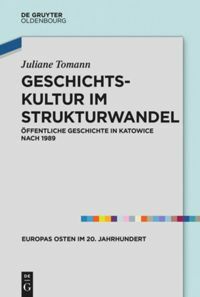 Anthropologie, Geographie, Soziologie, Archäologie machten das u.a. auch, doch dieser Public Turn hat wenig Beachtung gefunden. 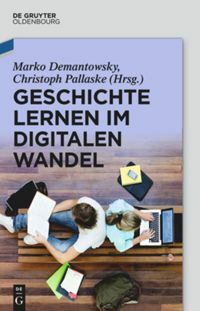 Diese öffentlichkeitsorientierten Bereiche der jeweiligen Disziplin pflegen ihre eigene Literatur, in welchen die Affinitäten, Antagonismen und Spannungen mit ihren akademischen Pendants erkundet werden. Trotzdem haben die unterschiedlichen öffentlichkeitsorientierten Bereiche viele Anliegen gemeinsam, nicht zuletzt die zentrale Bedeutung der So what?-Frage und damit verwandt: Für wen und wofür tun wir das, was wir tun? Öffentliche Wissenschaft bietet uns Wege, systematisch und transdisziplinär über die Natur und den Zweck intellektueller Bemühungen in der Gesellschaft nachzudenken und schließt dabei sowohl theoretische wie auch praktische Aspekte ein. Die akademische Gemeinschaft im weitesten Sinne kann daraus lernen, wie sich die öffentlichkeitsorientierten Bereiche mit wichtigen Anliegen beschäftigt haben, wie z.B. mit mehrfacher Rechenschaftspflicht, der Ethik einer öffentlichkeitsorientierten Praxis, den professionellen Status und seine Anerkennung, die ‘Qualitätskontrolle’ von Ergebnissen und – sehr wichtig – der Möglichkeiten, wie die Relevanz akademischer Forschung den Geldgebern, Partnern und dem Publikum erklärt werden kann. Diese Führungsrolle der öffentlichkeitsorientierten Wissenschaft ist nicht notwendigerweise willkommen. Genau wie manche ‘akademische’ HistorikerInnen heute wenige Gründe erkennen können, sich mit dem öffentlichen Zweck ihrer Forschung zu beschäftigen, könnten eventuell diejenigen, die sich als Public Historians zu erkennen geben, die Aussicht auf eine fachübergreifende und trandisziplinäre Aufgabe unattraktiv finden. Trotzdem kann mit Sicherheit und insbesondere heute viel mehr gewonnen werden durch eine gemeinsame anstelle einer individuellen Suche nach Möglichkeiten. Je früher wir unser binäres Denken über Bord werfen, desto besser. Es sollte, zumindest in unserer Ecke der Galaxie, keine Dunkle Seite geben. Als HistorikerInnen arbeiten wir mit vielen Schattierungen, die verschmelzen, ineinderfließen und überlappen, um komplexe, vorläufige und mehrtönige Bilder zu produzieren. Vielleicht könnten wir diese Sensibilität auf unsere eigene professionelle Welt lenken? Sie könnte uns helfen zu rebellieren, und dabei unsere intellektuelle Zugehörigkeiten und Sehnsüchte – und Allianzen? – neu gestalten und konzipieren. Cox, Pam: The Future Uses of History. In: History Workshop Journal 75 (2013), S. 125-145. King, Laura / Rivett, Gary: Engaging People in Making History: Impact, Public Engagement and the World Beyond the Campus. In: History Workshop Journal 80 (2015), S. 218-233. Ramos Pinto, Petro / Tithe, Bertrand: The impact of history? Histories at the beginning of the twenty-first century, Abingdon 2015. Die Wendung ‘tyranny of relevance’ übernehme ich von Matthew Flinders: The Tyranny of Relevance and the Art of Translation. In Political Studies Review 11 (2013), S. 149-167. David Rothman hat diese Ansicht in Frage gestellt, in: Serving Clio and client: the Historian as Expert Witness. In: Bulletin of the History of Medicine 77 (2003), S. 25-44. Vgl. Rebecca Conard: Benjamin Shambaugh and the intellectual foundations of public history, Iowa City 2002; John Tosh: Public history, civic engagement and the historical profession in Britain. In: History 99 (2014), S. 191-212. Bezüglich der Vorstellung einer öffentlichkeitsorientierten Wissenschaft, vgl. : Ivan Karp: Public Scholarship as Vocation. In: Arts and Humanities in Higher Education 11 (2012), S. 285-299. Ich ergründe öffentlichkeitsorientierte Wissenschaft und die Rolle der Public History darin in meinem in Kürze erscheinenden Buch: History, policy and ‘public purpose’. Green, Alix: Rückgewinnung der Relevanz von der Dunklen Seite. In: Public History Weekly 4 (2016) 5, DOI: dx.doi.org/10.1515/phw-2016-5353. « Back to Nationalism. No Future for History?